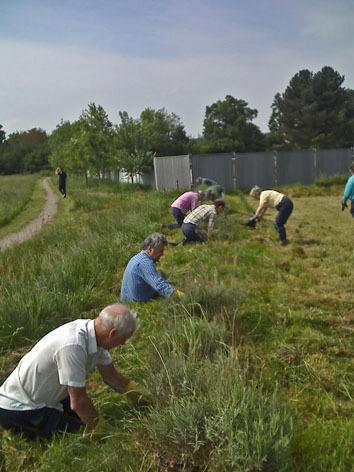 Kennylands field is a village amenity for Sonning common, created in 2000 as the Village Millennium Green with a skylark conservation area and a new spinney. Our sessions here are usually on Saturdays, when local people are more likely to join us. SCGG helps maintain the extensive hedges by hedge laying, dead hedging and sapling planting. 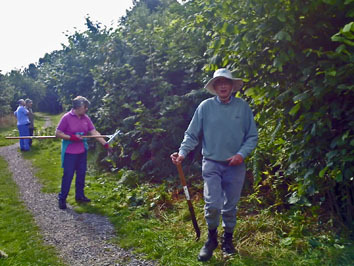 Other tasks include scrub clearance, path restoration and attending to the rows of scented lavender by the Bird Wood Court entrance. Parking is in Birdwood Court.